Katy Real Estate Inspection Blog Entry - "Getting the Most from your real estate inspection"
Once you have found the perfect home to suit your lifestyle and budget, the next step will be to make an offer to the buyer. Before you finalize that offer, however, you need to make sure the house you are thinking about buying is the sound investment that you believe it to be. Whether interested in Maryland luxury homes or Katy real estate, no matter how beautiful the home may appear from the outside, there could be some significant problems lurking beneath the paint, wood and siding. While many states require a real estate inspection to be completed before a deal can be finalized, even those buyers who are not required to complete an inspection should seriously consider doing so. 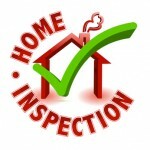 Although getting an inspection will cost you a few hundred dollars out of pocket, there are many benefits to getting a real estate inspection if you know how to get the most out of it. The most obvious benefit to getting a home inspection is that it gives you a little bit of clout when it comes time to negotiate a deal on the house. If the inspector finds that there is a problem with the electrical system in the house, for example, you can insist upon this being corrected before you will close on the deal. The same is true if there are problems with the septic, the well, the foundation or any other part of the house. Or, rather than getting the item fixed, you may choose to negotiate a lower price on the home due to the problems that have been uncovered. Either way, you can save yourself a great deal of money on either the initial purchase or in the long-run in terms of repairs. Of course, if the damage is too extensive, your mortgage lender may not agree to a loan until the item is repaired. Furthermore, once you have received the report from the inspector, you may decide that the hidden problems are far too costly or problematic for you. In this case, you will save yourself a great deal of time, money and heartache by passing on the house and continuing your search for a home that suits your needs. Even those homeowners who realize the importance of the inspection in terms of negotiations often fail to realize the other benefit that getting an inspection can provide: knowledge of the home’s systems. By tagging along with the real estate inspector, you can learn a great deal about where your home’s systems are located, how to access important parts of your home, and what condition the items are in. Furthermore, by walking through the house with the inspector, you have the opportunity to ask questions as he is looking at these systems. The knowledge you gain can prove to be invaluable down the road as you try to perform routine maintenance and repairs on the home. About The Author - Josh Davis and Kevin Koitz are guest contributors here. Kevin is a Washington DC native and specializes in Washington DC Condos as a Realtor with The Koitz Group in Maryland.